Welcome to the Grand Vacation Achievers Blog Hop. We are excited you joined us. If you are just stopping by my blog for the first time, welcome. I hope you stay a while, kick off your shoes and look around. I really love how this Christmas Gift Bag turned out. 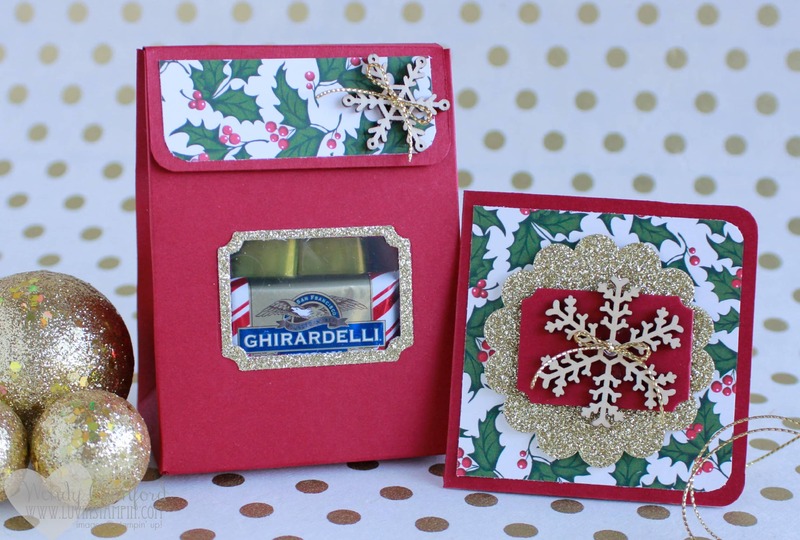 I used the gift bag punch board from Stampin’ UP! to create the bag. All the details on how to create this bag are in the printable tutorial below. The video below gives you a quick overview on how to put this bag together. However if you want full instruction on how to use the gift bag punch board you should watch THIS VIDEO. You can purchase any of the supplies I used to create these by clicking on the images below. Here are all the awesome blog hoppers. You don’t want to miss out on this blog hop. Such talented people involved in this hop. Super duper cute and useful even after Christmas! Thanks for sharing, Wendy! Thanks Lisa! Hugs and Happy Thanksgiving! Hi Cynthia! Thanks so much. Hugs to you! Very cute projects, Wendy! Thanks for sharing! Very cute gift box for Christmas goodies. Thanks for sharing the tutorial also. I love the traditional Christmas colours you used – they look so festive. This treat is so amazing! Adorbs!!! Love the window on the treat bag. Thanks Tami! Hope you had a great thanksgiving! Super cute set! I especially love the window on the treat bag! Gorgeous set! What a lovely gift for someone!! Thanks for the great ideas ??? ?